the beehive and for the relation of the bees to their ecosystem. Participants will be sensing the ecology of the beehive and interpret the emergence of symbols. They will be detecting the granularity of waves formed between bacterial signals and the signs emitted through invisible (bio)technologies. In several hands-on sessions the microbial sphere in and around the beehive will be studied under the microscope. Participants will prepare agar plates to culture bacteria and spores that they collect at the intersection of places, called the Umwelt of the Forager (bee). 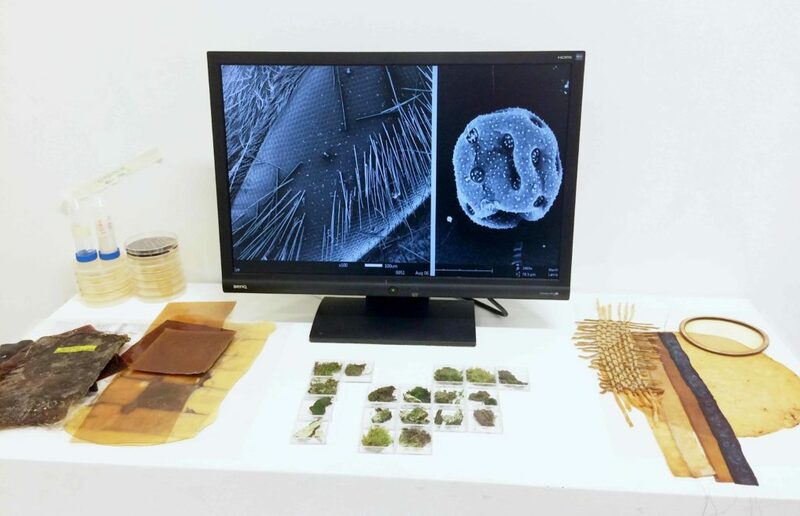 They will ‘design’ with bacteria and reflect upon shared habitats for bees and other micro-organisms. The focus of the workshop-lab will be on learning & sharing knowledge by asking questions & discussions. - prepare agar plates and introduction to DIY swabbing kit – we will make swabs of the ecosystem and put the results to culture in the petridishes, to study them later under the microscope. AnneMarie Maes is an artist who has been studying the tight interactions and co- evolutions within urban ecosystems. 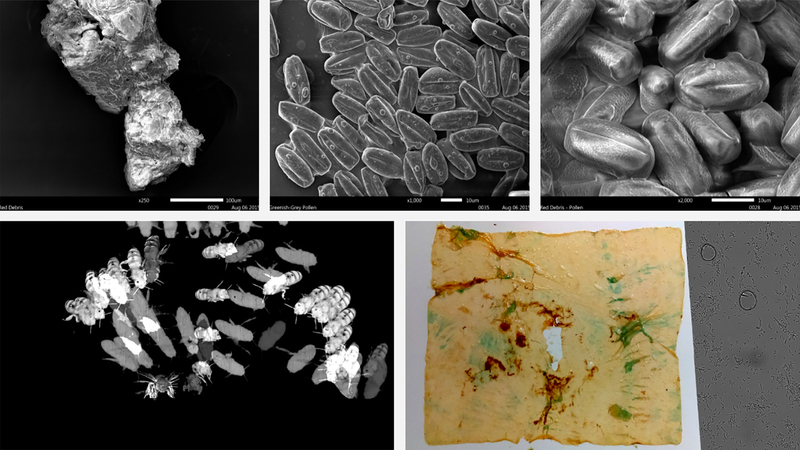 Her research practice combines art and science with a strong interest for DIY technologies and biotechnology. 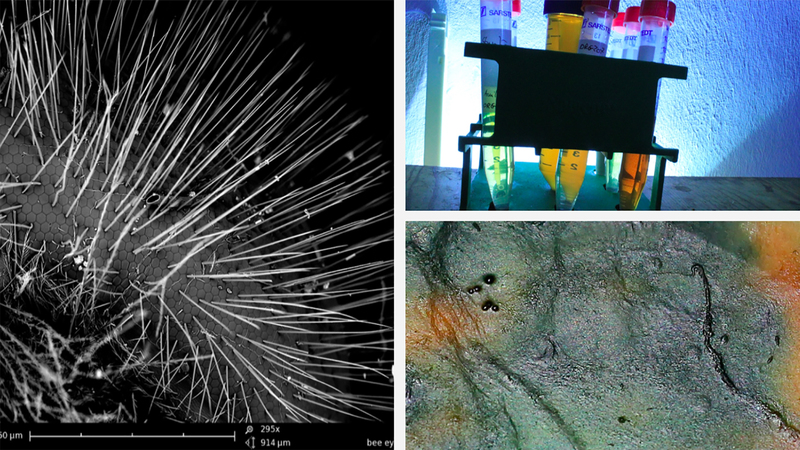 She works with a range of biological, digital and traditional media, including live organisms. Her artistic research is materialized in techno-organic objects that are inspired by factual/fictional stories; in artifacts that are a combination of digital fabrication and craftsmanship; in installations that reflect both the problem and the (possible) solution, in multispecies collaborations, in polymorphic forms and models created by eco-data. On the rooftop of her studio she created an open- air lab and experimental garden where she studies the processes by which nature creates form. Her research provides an ongoing source of inspiration for her artworks. 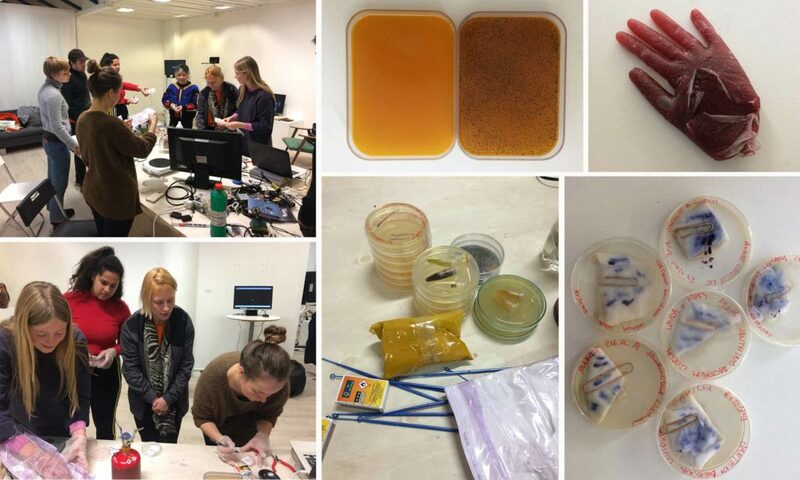 The Bee Agency as well as the Laboratory for Form and Matter -where she experiments with bacteria and living textiles- open a framework that has been initiating a wide range of installations, photography works, objects and books – all on the edge of art, science and technology. She has a strong international profile, having exhibited in art centers and festivals worldwide. In 2017 she was awarded a Honorary Mention in the Hybrid Art category at Ars Electronica for her Intelligent Guerilla Beehive, a project on the intersection of cellular life and biotechnology – creating metabolic sculptures build of microbe, plant and animal intelligence.